Hello a day ago I got a problem after every 6h my pc is turning off? Cause of what is that? I was mining a long time without problem and now when I try to go from 16.1 driver to 15.2 I got this problem. Does it turn off or restart or freeze? Turning off would indicate the temps are getting too high and the motherboard is shutting it down. Restart/freeze indicates it's crashing due to bad drivers/overclocks. I think is restarting because when I go to se why isnt mining the pc is on but not mining is like the pc is turned on right now. And I am with the same overclock like before and before I didnt have problems like this. Did you overclock the cards? Or undervolt? I overclock the cards since I start mining and were working perfectly withoud problems. But a day ago I install the driver 15.2 then I got this problems then I uninstall the 15.2 and install the 16.1. My other rig is with the same overclock the cards are the same and Is working perfectly. Can this be driver problem? I see now what happend is getting freeze. Don't overclock and see if it still happens. I've had cards that ran fine for a.while and later would consistently crash the rig. I would say it's usually smarter to suspect hardware over software. And can this be problem fromwindows damage? If it's not consistent and only occuring after a period of mining, I would doubt software. That said, I did have 1 rig that for whatever reason hated the 15.300 drivers, but ran perfectly on 15.203 (I think that's the right number... whichever CCC ones get pulled by windows update). Well but before i was with 16.1 like now. @anonymous95 sounds like a decent plan. Always good to elimiate the risk of a bad install. 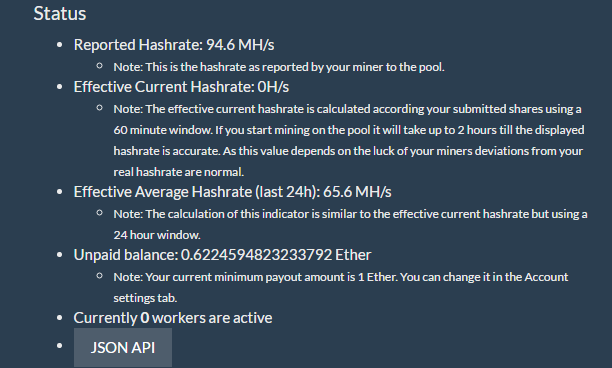 Does the worker show hashrate? That's a bit weird. @anonymous95 that PSU has 4x 12V rails (50A each tho, which is nice). Make sure you are running each GPU on a seperate rail. If you have 2 GPUs connected to.a single rail, I could see that causes crashes. Every card is connected at single rail. did you end up solving this? i have the same problem, rig turns off as soon as i start mining.